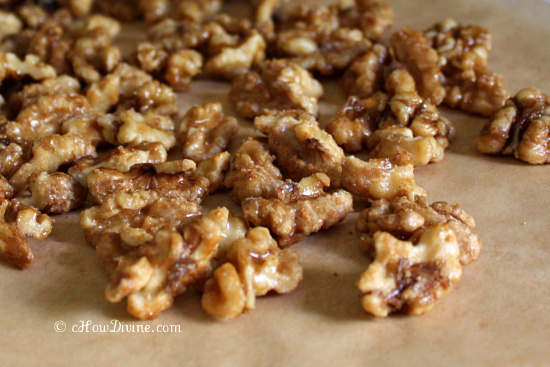 I used to buy candied walnuts from Trader Joe’s until I started making them at home. This version is easy to make, has less sugar per serving, and has a fresher taste than the store-bought version. They are great as a healthy snack and as an ingredient in baked goods. Heat a pan over medium heat. 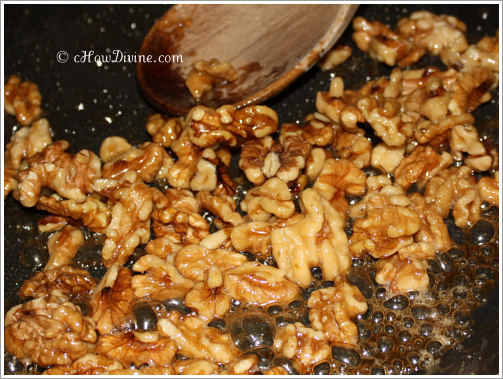 Add walnut or pecan pieces. Stir to toast for a couple of minutes. Add maple syrup and salt. Continue stirring the mixture until the syrup caramelizes and starts to crystalize. Remove from heat. Cool completely.